Located in the historic commercial area of the Binghampton community of Memphis, we are home to more than 70 unique local businesses, including boutique shops, art galleries, artist studios, services, restaurants and bars. We strive to foster the diversity of the arts, entrepreneurs, and cultures to steward economic and community vitality. From boxcars to bicycles, our district has always centered around movement. Be part of the journey. 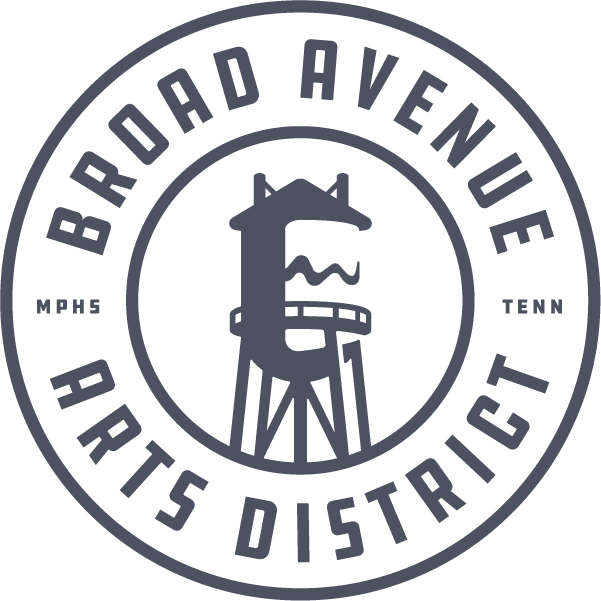 Broad Avenue features locally-owned small businesses committed to revitalizing the urban core of Memphis, including boutique shops, art galleries, creative studios, and services. Whether it's fine-dining restaurants, quick lunch spots, dessert places, coffee shops, or dive bars, we're home to some of the best, most unique food and drinks in the city. Broad Avenue is a showcase for both performing and visual art. In addition, many businesses offer workshops to unleash your creativity. Check individual businesses for class schedules. Originally the main street of Binghampton – a small railroad town outside of Memphis – Broad Avenue has become known for its transformation from a collection of vacant storefronts to a vibrant arts district in less than a decade.